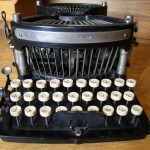 John Newton Williams was the inventor of this typewriter. He began his work in 1875 and got his patent in 1890. 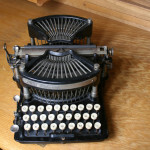 The typewriter was introduced in 1891. 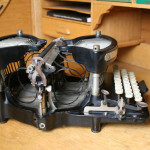 Model 1. had a curved keyboard. 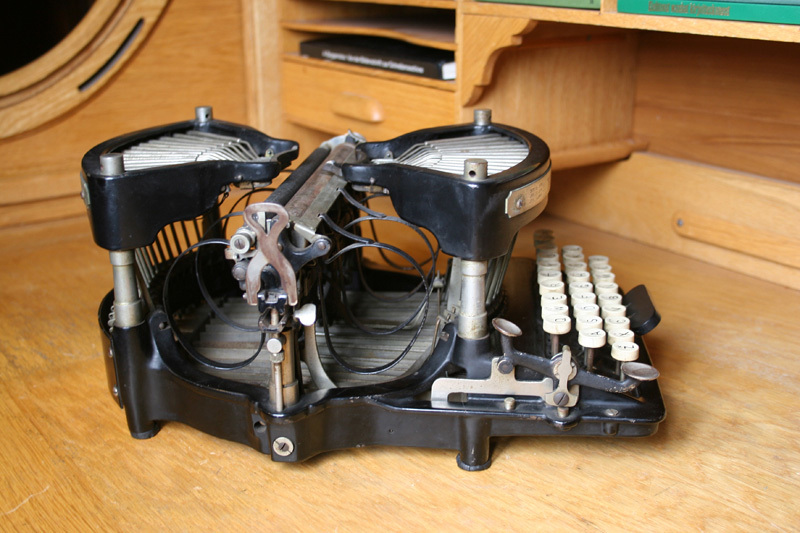 Williams differ from other typewriters for its typebars on both sides of the platen. This action is referred to as “grasshopper”. The paper is stored in two open baskets. 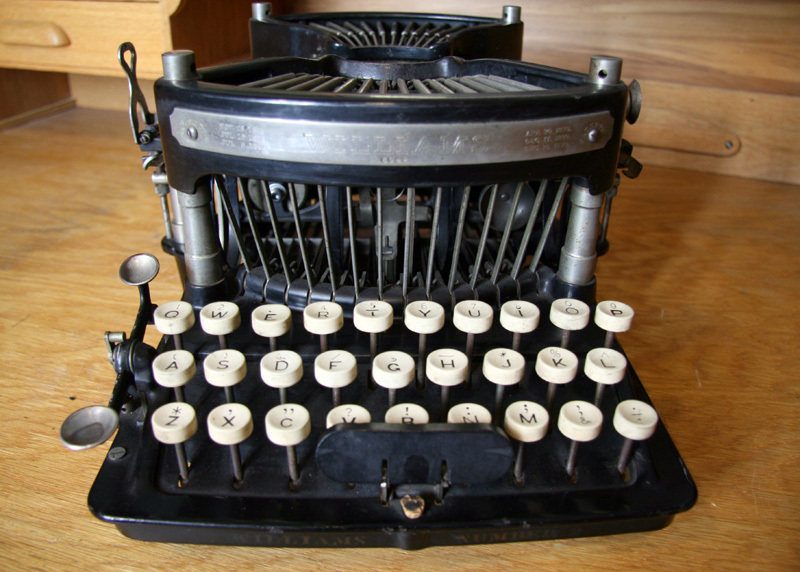 Model No.2 was introduced in 1896. 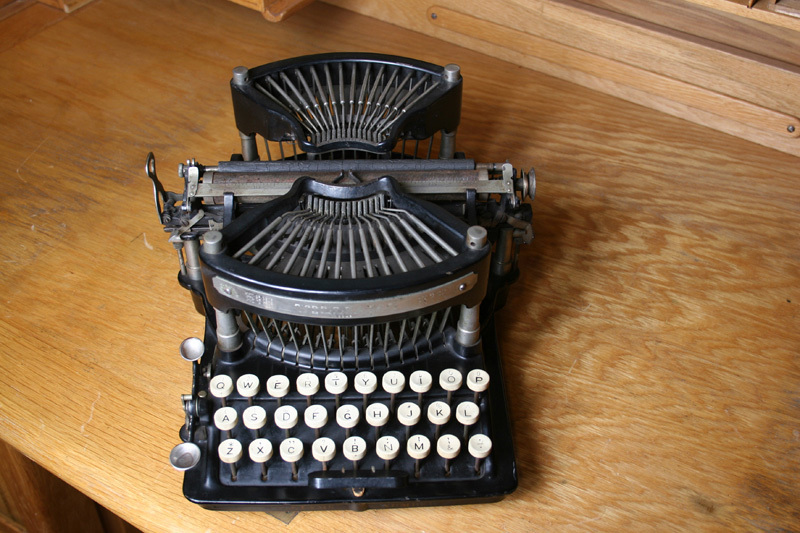 It has a straight three-bank keyboard. Several models with some improvements followed. Wlliams No.1 and No2 are valued by collectors. In 1909 the company went out of business.